I know from the beginning that nothing I say will do a good job of selling this book. 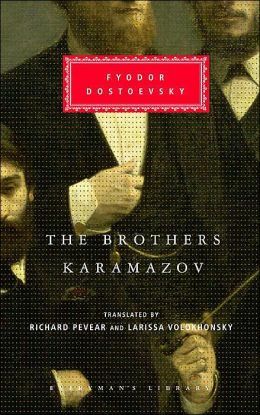 Brothers Karamazov is a giant — seven hundred and fifty pages long, dozens of characters, and the last and greatest of Dostoevsky’s novels. Fyodor Dostoevsky is little-known in the West, and that’s a shame. He may be the best novelist we’ve ever had, and Brothers Karamazov is the culmination of his lifetime of philosophy and writing. Quite an unfounded statement, and you’ll probably expect me to prove it in the rest of the review. Like I said, I won’t be able to; but I’ll do my best. If Crime and Punishment is a city novel, Brothers Karamazov is unquestionably a country novel. The overall pace is slow and meandering, and the murder — the central element of almost every Dostoevsky novel — doesn’t take place until halfway through. 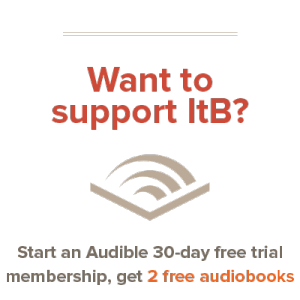 Dostoevsky is building a world, with real people to live inside it, and even though it takes time, the overall effect is a totally immersive setting that brings the characters into vivid life. Like most Dostoevsky novels, the murder is not the climax of the book, but an inconsequential event that twists all of the character arcs in an unexpected direction. His mastery lies in his characters, who stand in vivid detail on this backdrop. I love Dostoevsky for his characters, and very few other authors can bring together so many disparate storylines and weave it all into such a lifelike picture. Orphans, murderers, harlots, and nobles fallen from grace all interact and overlap: it’s messy, often depressing, and a faithful mirror of real life. At its most basic, the story tells of the hunt for the murder of Fyodor Pavlovich; chief suspect: his son, Dmitri. The rest of the story revolves around this center, but there is richness everywhere throughout. While the overall tone of the book isn’t happy on its own, it’s laced with Dostoevsky’s own hope that’s rooted in his strong Orthodox faith. Dostoevsky is a master at weaving his worldview into breathtakingly real stories. Brothers Karamazov is a philosophical novel heavily concerned with worldview human nature. Sure, it’s 750 pages, and there’s occasional dead spots in the actual story (like many 19th century stories, Dostoevsky will take 30 pages out to tell a smaller story, and then get back to the action). Even with a pace that’s different from more modern books, Dostoevsky speaks into human suffering, the reason for existence, and the problem of evil. Every character in a Dostoevsky novel, really, is asking why we all hurt so much. Some come to better answers than others, and that’s why we read and love his books. In the middle of cynical, deconstructionist modern society, Dostoevsky’s hope, blooming in the middle of great pain, is comforting. In short, Brothers Karamazov may be a long read, but it’s well worth the effort to get through. Dostoevsky has planted gold deep in this novel, springing from a lifetime of honing his worldview. Brothers is the culmination of all his writing, the end of all his philosophy, the magnum opus to define his life. He left behind an extremely valuable and insightful commentary on what it means to be human, and you’d be selling yourself short to pass over it. Oh, and one final note: if you read Brothers Karmazov, pick up the Pevear and Volokhonsky translation, or the original Russian.